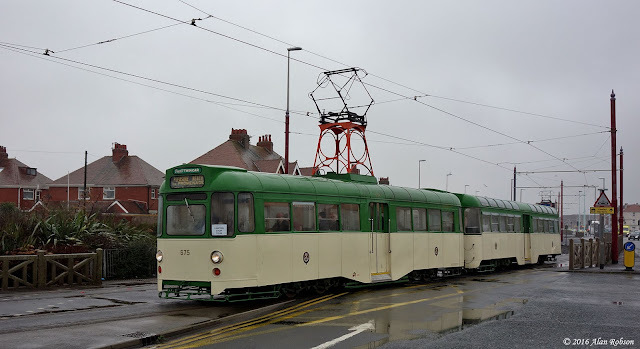 The gale force winds that held sway during Saturday had abated by the second day of the January Heritage Tram Tour weekend, only to be replaced by drab, dismal, wet weather throughtout the day. 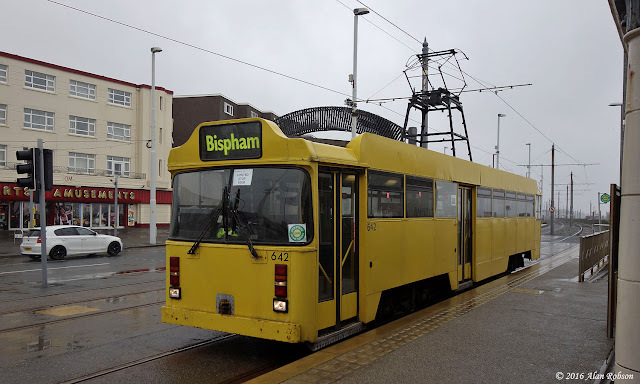 This was definitely a day for riding and not photography, however for the record the early morning tram output as recorded at Bispham was Frigate 736 to Little Bispham, Railcoach 680 to Thornton Gate, Centenary 642 turning at Bispham, Twin Set 675/685 on the first Fleetwood run of the day, then 700 and 147 both turning at Little Bispham. Centenary 642 and Railcoach 680 both suffered from problems and had to return to the depot during the day, being replaced in Heritage Tour service by Balloon 717 and Brush Car 631. Saturday 30th January saw the first day's output of the new expanded Heritage Tram Tour operations for 2016. 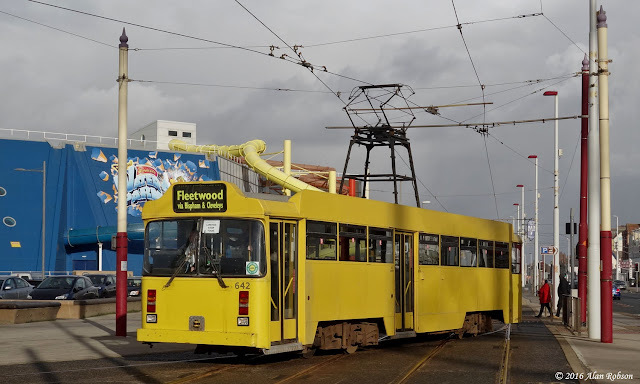 Although the forecast of 50 mph winds and a temperature of 5 deg C weren't exactly ideal, the day started out full of promise with six Heritage Trams rostered to operate the Gold timetable service. The trams left Rigby Road depot in the following order, Box Car 40 heading for Pleasure Beach and the first Fleetwood run of the day, Illuminated Frigate 736 headed north for Bispham, Brush Car 631 heading for the Pleasure Beach and then Bispham, Centenary Car 648 destined for Little Bispham, Balloon 717 heading north to Cleveleys, and finally Twin Set 675/685 bound for Bispham. 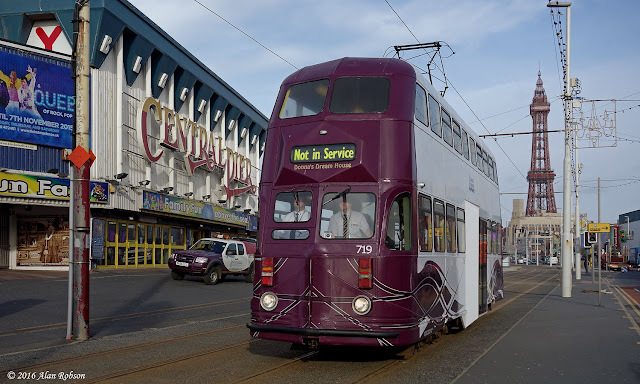 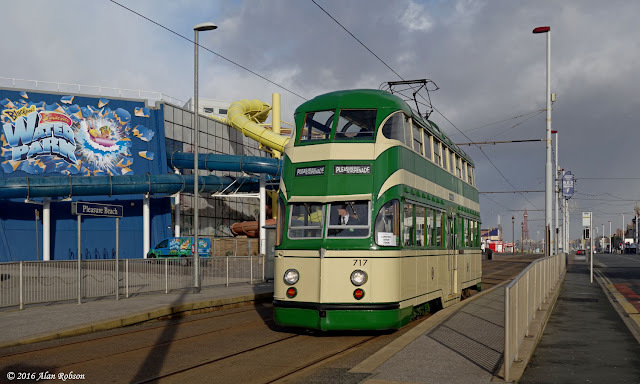 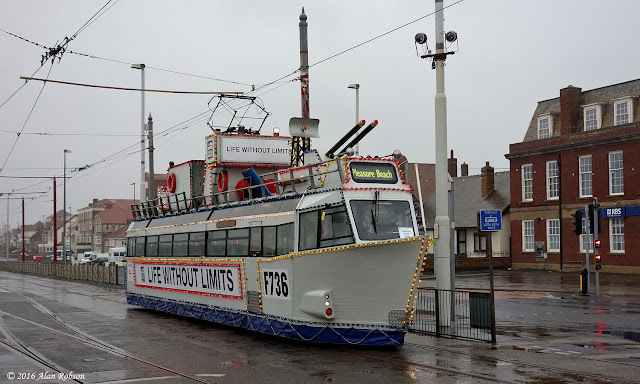 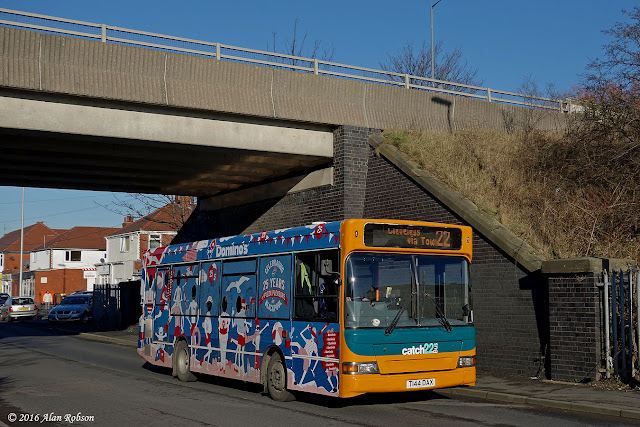 Early in the morning Centenary 648 failed at the Pleasure Beach with electrical problems, and had to return to Rigby Road depot to be replaced in service by Centenary 642. 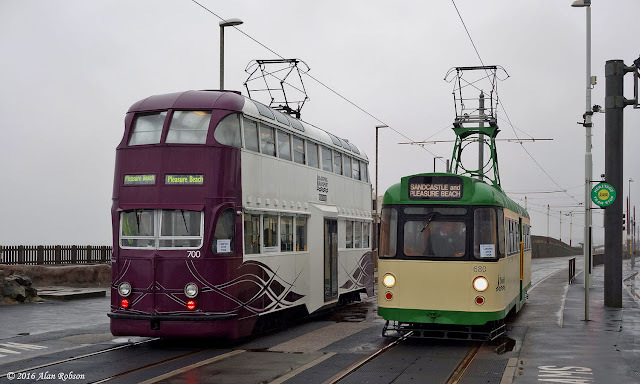 The weather did its best to dampen people's spirits, ranging from rain, sun, hail and heavy clouds, with gale force winds throughout the day, but most of the visiting enthusiasts were undaunted and thoroughly enjoyed themselves, making the most of this rare winter outing for the heritage fleet. 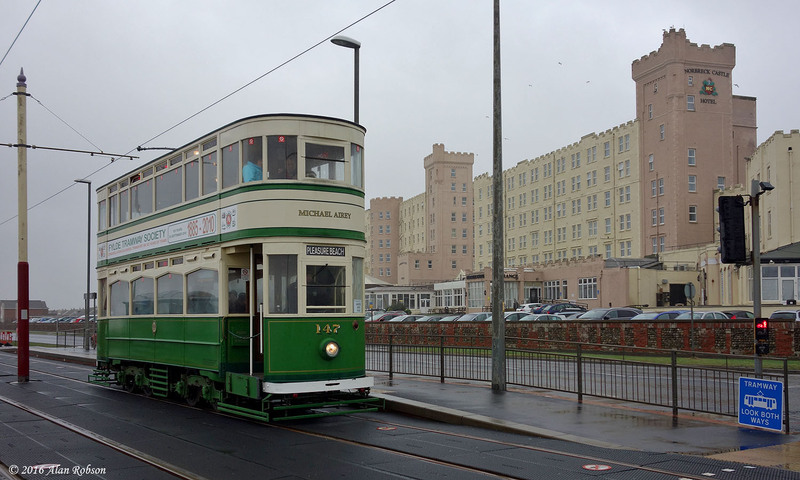 Purple Balloons 711 and 719 were noted on the Promenade being used for heritage crew driver training on 28th January. 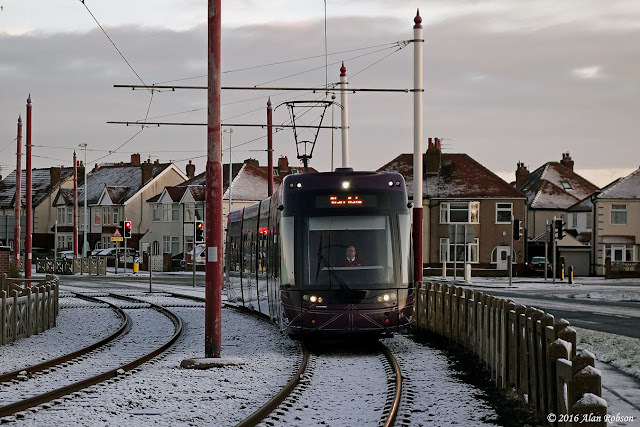 The only surviving tram from the Lytham St Annes Corporation Tramways system arrived at Rigby Road depot on 24th January to join the growing Heritage Tram fleet. 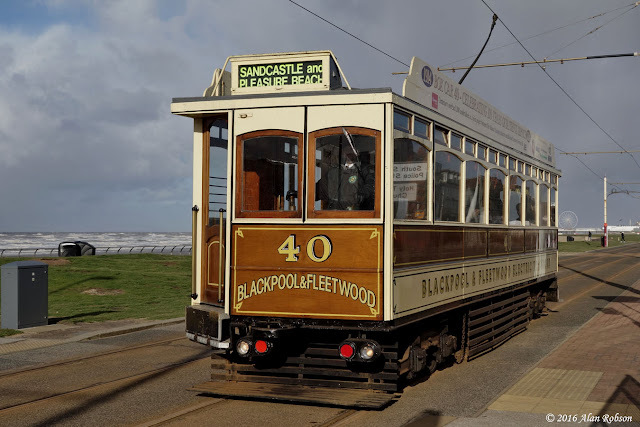 The lower saloon of Lytham Pullman car 43 has been in preservation for many years, latterly in kit form, and at one stage it was going to be converted into a railway carriage for use on the narrow gauge West Lancashire Light Railway. 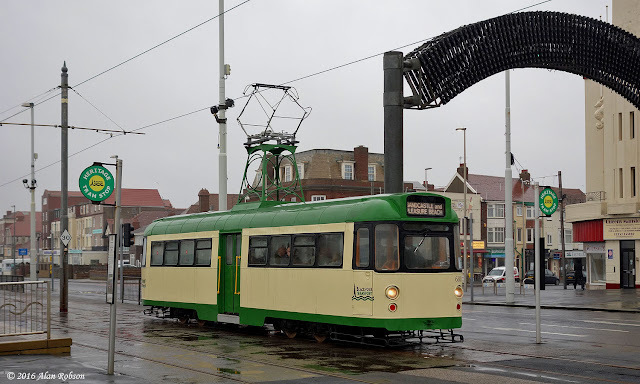 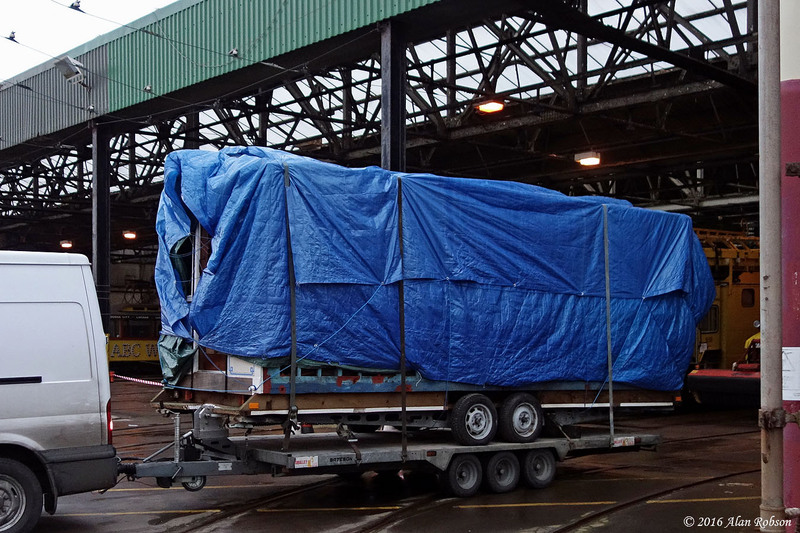 Fortunately the tram was secured for preservation by Robert Mortimer, who has spent the last couple of years painstakingly reassembling and restoring the tram body to the stage where it was ready for acceptance by the Heritage Tram Trust on long term loan at Blackpool for eventual restoration into a fully working tramcar again. 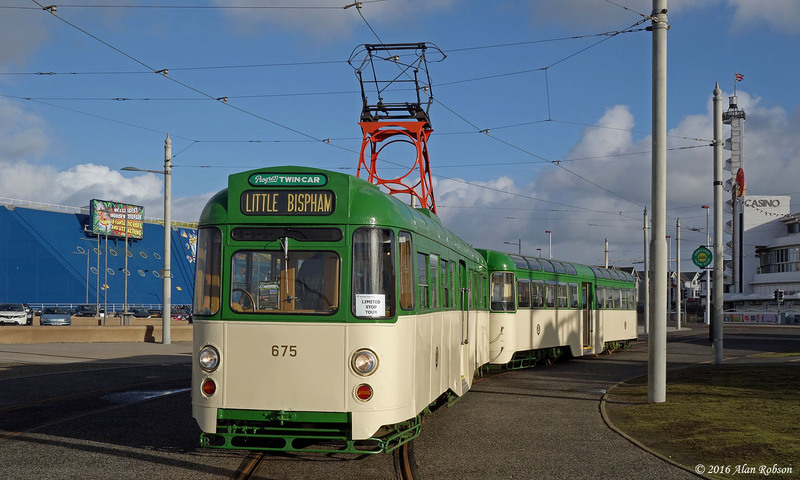 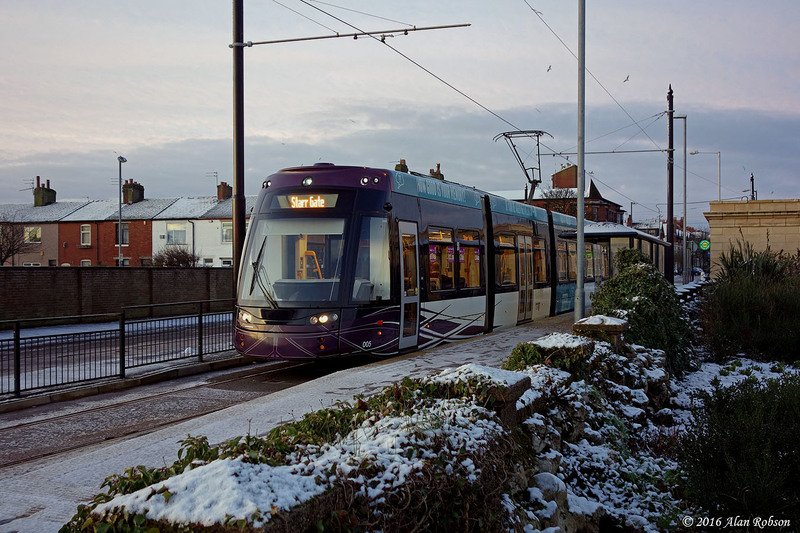 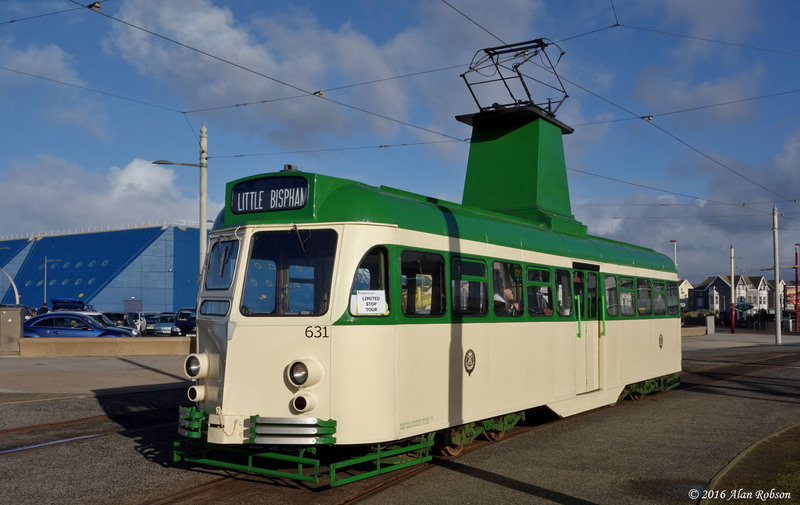 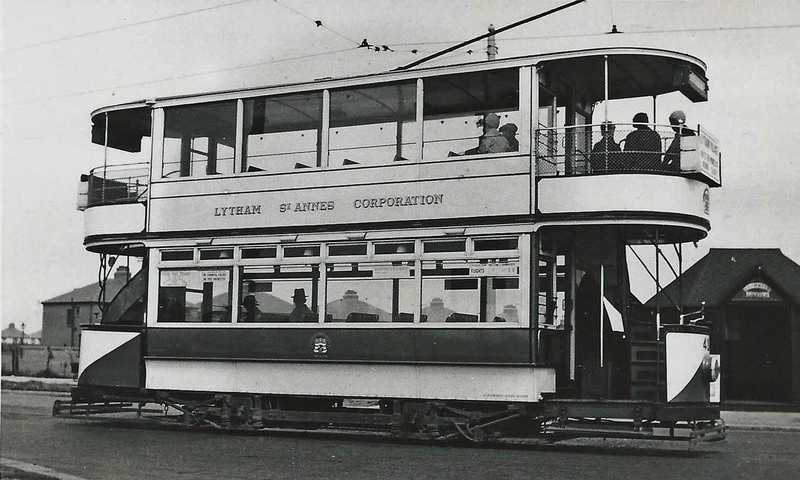 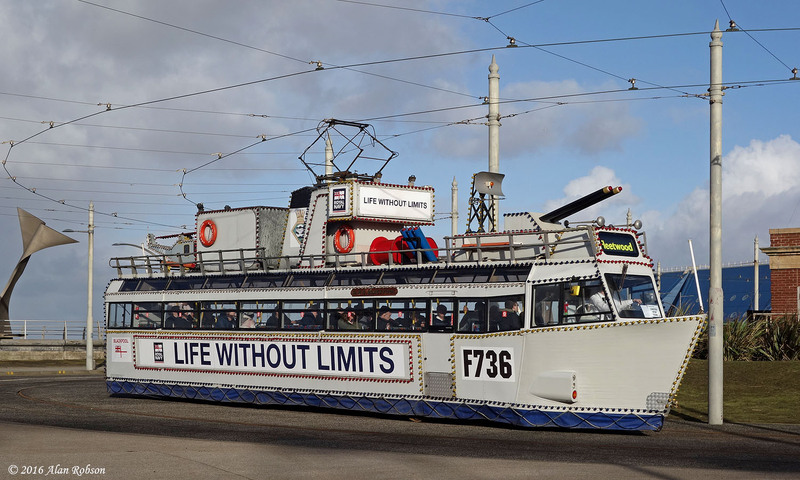 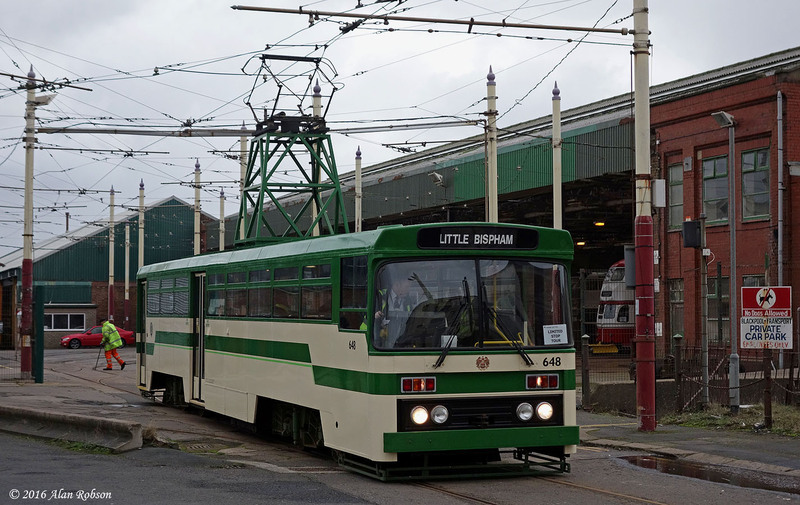 The Lytham Tramway system closed down in 1937, but prior to this Lytham trams were frequent visitors to the Blackpool system and could be seen operating as far as the Gynn. 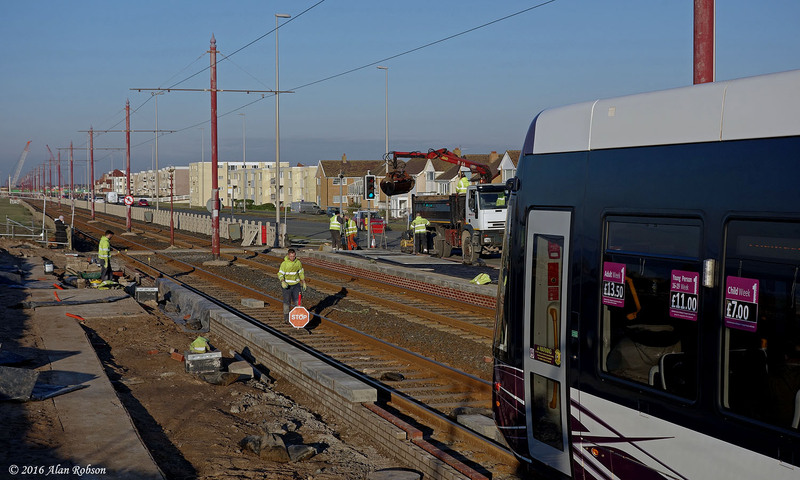 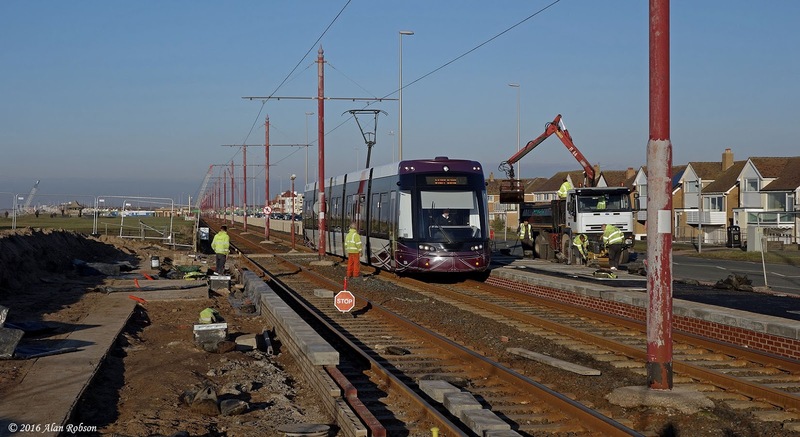 The task of constructing the new tram stop at Norbreck North is about halfway through now. Work has nearly been completed on the southbound platform, with the tarmac surface having been laid on the platform and adjoining pavement on the Promenade. The northbound platform is still in the early stages of construction, with work partway through laying the bricks and concrete blocks for the wall along the edge of the new platform. Through service trams are being controlled by a temporary stop sign situated between the rails. 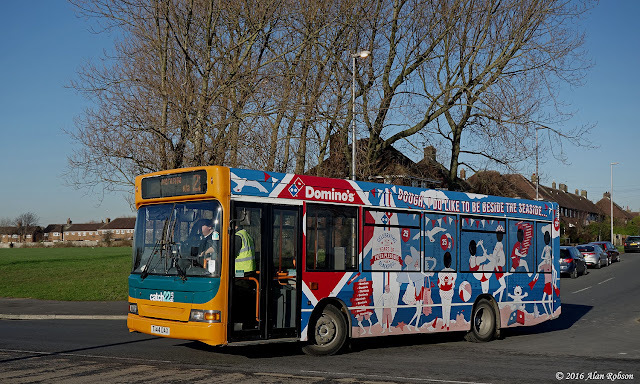 Catch 22 Bus Dennis Dart T144 DAX was outshopped with an overall advert livery for Domino's Pizza late last year. The bus was captured in full sunshine on 20th January, on the first completely sunny day in Blackpool since last October! 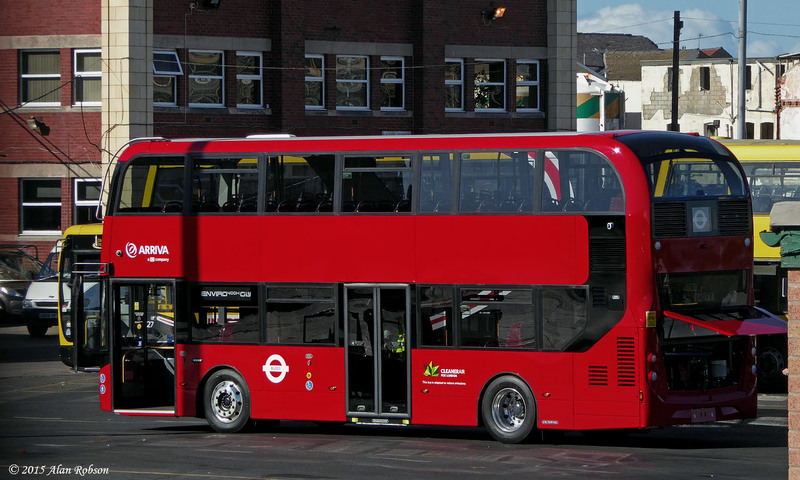 Blackpool Transport have placed an order for 10 Alexander Dennis Enviro 400 City buses. 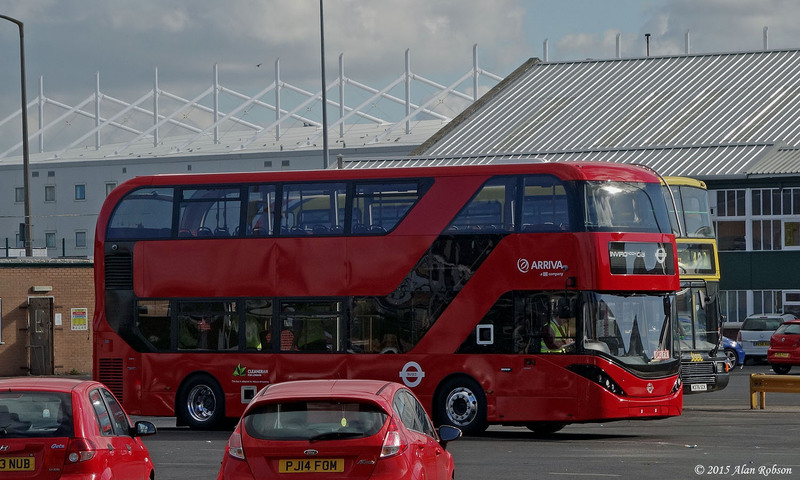 The new buses will be similar to the Enviro 400 City models that are currently in service with Arriva London, and their 72 seat bodies will feature Wi-Fi, E-leather seating, wood effect flooring and USB charging points, as well as having a glazed staircase. 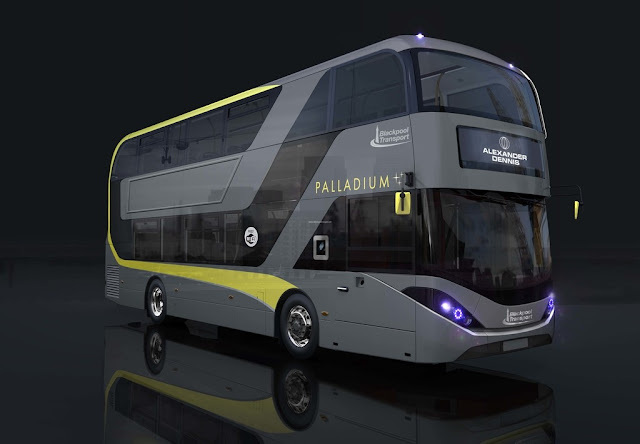 The new vehicles will be painted in the same grey and yellow colour scheme carried by the Palladium branded Mercedes Citaros, and will be used to replace existing buses on the service 9 from Blackpool to Cleveleys. 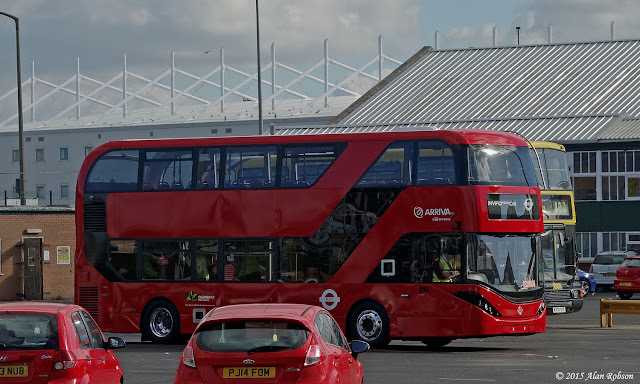 See http://www.alexander-dennis.com/news/blackpool-sets-the-pace-with-2m-enviro400-city-bus-deal/ for the official press announcement from Alexander Dennis Limited. 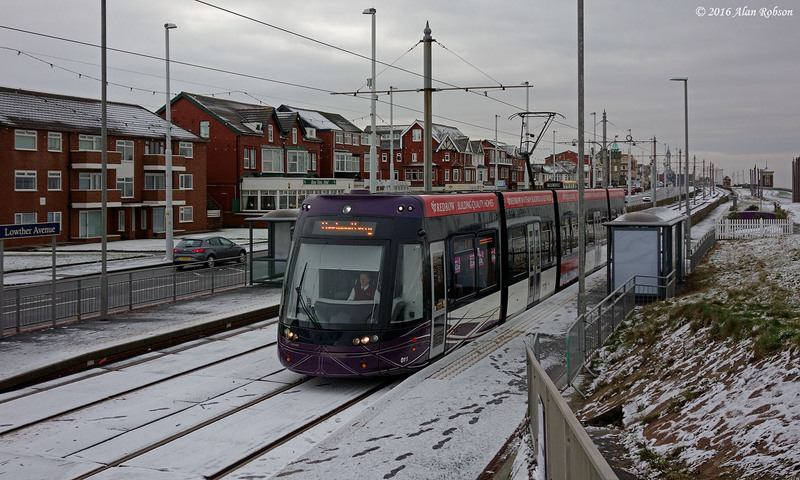 The first snowfall of the year was experienced on the Fylde Coast on the evening of Saturday 16th January. 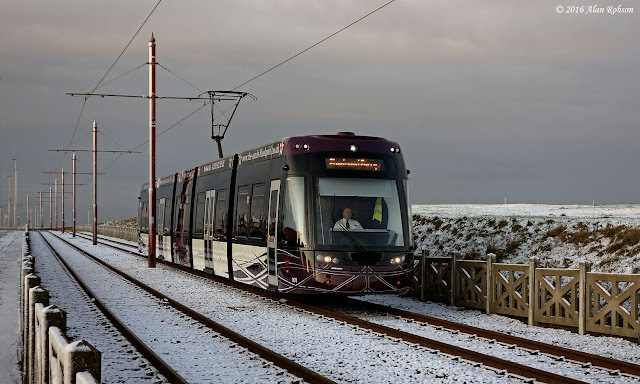 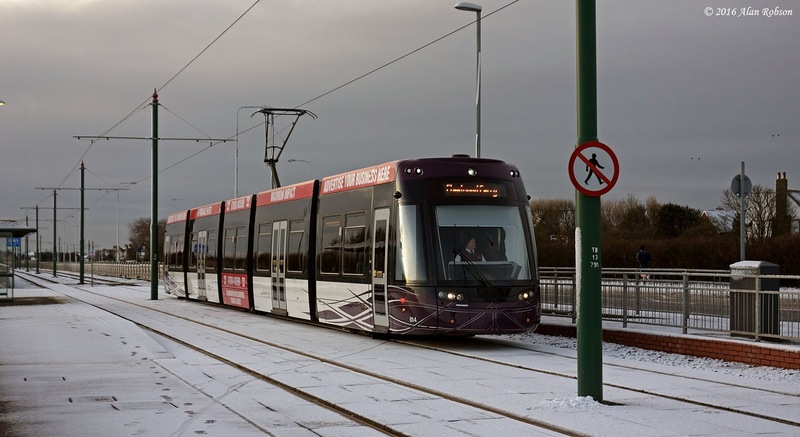 Although it had only been a fairly light fall of snow, because the temperature was still at freezing point in the morning it enabled a few intrepid enthusiasts to venture out and take some snowy tram scene photos.